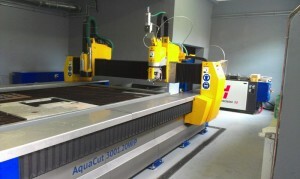 AquaCut is a high-precision CNC cutting machine designed for processing of a wide variety of materials including those that cannot be subject to thermal or mechanical stresses. 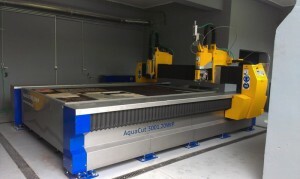 Pure water or abrasive cutting can be applied to metal, stone, marble, armoured glass, ceramics, plastics, wood, corrugated cardboard, foamed material as well as sandwich materials. 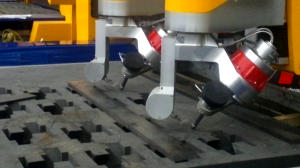 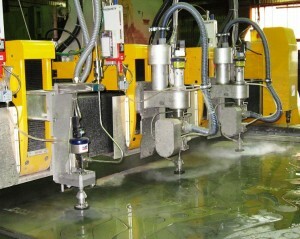 The machine can be equipped with a 5-axis waterjet rotator and also combined with plasma or drilling/tapping units.